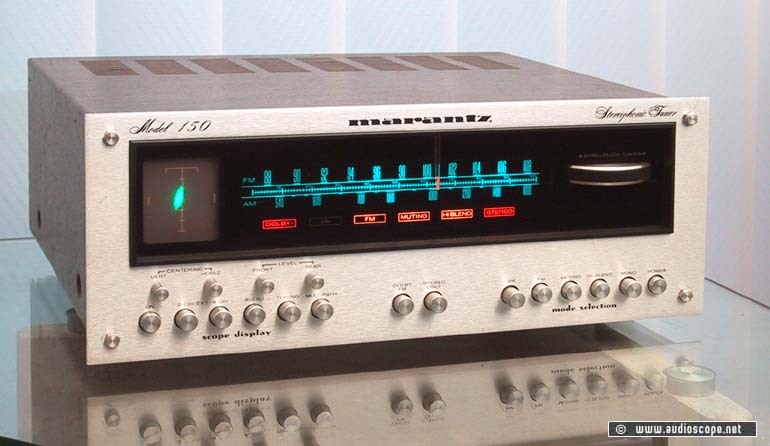 Marantz Model 150 Scopetuner for sale. Excellent and extremely hard to find scopetuner in very good and clean condition. This unit was top of the line in 1975. It shows light wear, nothing serious. Original picture. Technically in mint condition. The tuner has been completly checked and aligned by our tech. The sound is great. Also the scope works perfectly and shows no "burn in". 110 - 240 Volts.